Pastor Chuck spoke at church yesterday morning about the Romani (gypsy) people. Although the term "gypsy" is commonly used to describe these people, the term is actually considered derogatory by many of them. The Romani (also Roma, or Rom) are a distinct ethnic group that have no country of that own. As a nomadic culture, they spread throughout Europe and other parts of the world. They usually do not assimilate into the cultures they live within, but maintain a distinct subculture wherever they are. As a result, the Romani are generally not well accepted by their neighbors. They face discrimination and prejudice as a rule throughout Europe, and certainly in Bulgaria. Their poor reputation is not completely undeserved. 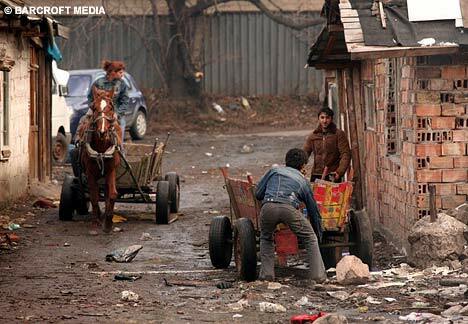 Most of the Romani live in abject poverty, partly due to discrimination in hiring, but also partly because of the Rom peoples' own unwillingness to participate in the economies of their host countries. Especially in the formerly Communist nations of Eastern Europe, the group became accustomed to having their basic needs provided for by the State with no responsibility on their part. They have had a hard time adjusting to the capitalist system and still rely heavily on government assistance. Many wed young and begin having children to increase their subsidy from the State. The people live in in communities called mahalas in crowded and unsanitary conditions. Crime and illiteracy are high. The Romani of Bulgaria are no different. According to the 2001 census, the Roma accounted for nearly 5% of the nation's population, giving Bulgaria the highest percentage of Roma for any European country. However, the ethnic group does not actively cooperate with the census efforts and other data sources, including the social assistance offices and other polls, indicate a population as high as 10% of the nation may be Romani. However, it is estimated that more than 80% of their working age population is unemployed. Their children are technically given the right to the same education as all other children in Bulgaria. However, in practice, the school's built in Romani neighborhoods and villages are typically in bad physical condition and lacking materials and equipment such as computers, desks, books, etc. Also, Roma children are often sent to special schools for students with learning disabilities or behavior problems. Only 6-12% of Roma teenagers enroll in secondary education (age 16-19). Illiteracy is extremely high among children and adults. From the perspective of many Bulgarians and other Europeans, the "gypsies" are known as thieves and liars, lazy and violent, a drain on society's resources and the source of climbing crime statistics. Lurid tales are told of fathers prostituting their own daughters and stealing their neighbors' livestock. Unfortunately, many of these stereotypes have a valid basis of truth. 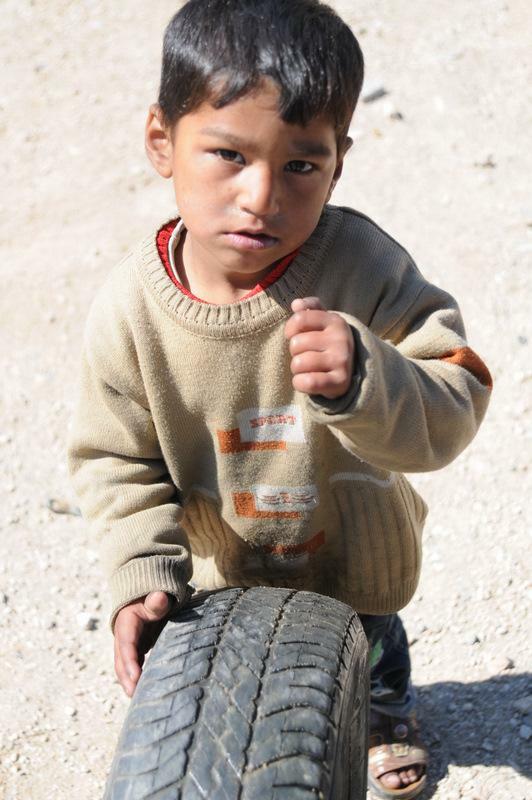 The Romani are a hurting and broken people with little hope for change. There are very few opportunities to advance beyond their meager existence, and the Rom who do manage to rise up face hostility from their own friends and family who see them as abandoning their people. The only hope for the Romani people is Jesus Christ! They need to know the love of God and the life-changing power of His Spirit. But how shall they hear without a preacher? The Church has a responsibility to take the gospel message to the Romani people. We have a mandate from the Lord Himself to go into their mahalas and preach the gospel. We must demonstrate His love and power to a people who need it desperately. We must disciple them, teaching them God's Word and how to live it. I know this will be difficult. Many in the Bulgarian churches are still wrestling with their own deep-seated cultural prejudices and grievances against the Roma. They are laboring to reach their own fellow Bulgarians who are mired in the spiritual indifference bred by Communism. They struggle to believe that the "gypsies" can ever change. Many Romani have, in fact, joined Christian churches in their communities yet continue to live the ungodly lifestyles inherent in their culture. Many have been "burned" trying to help the Roma and are afraid to venture into that territory again. We know their struggle. It came to me yesterday, as I discussed these thoughts with Pastor Chuck, that our own community in Bullhead City has similar issues. We have in our town a subculture of drugs, alcohol, and domestic violence that many feel are a hopeless case. Good Christian people that go to church every Sunday shy away from these people as if they were diseased. We make our arguments about safety and explain how a drug addict has no power to kick their habit and change and a host of other reasons why the "trailer trash" of our city is a lost cause. Yet our church is filled with those who were delivered out of this very culture... former drug addicts, alcoholics, violent abusers, all set free by the message of the cross! New creations in Christ Jesus! We cannot afford to avoid the very people we are called to reach. Our God is not willing that any should perish, but that ALL should come to repentance. As we overcome our own prejudices and fears to reach out to the darker elements of our own community, let us also pray for our Bulgarian brothers and sisters that God would use them to bring His love and power to the people rejected by their culture. May God's love for all of Bulgaria be demonstrated by the Church's love for the unlovable. Let us seek the heart of Christ for the people He cares for.